Made up shopping holidays are best for businesses. 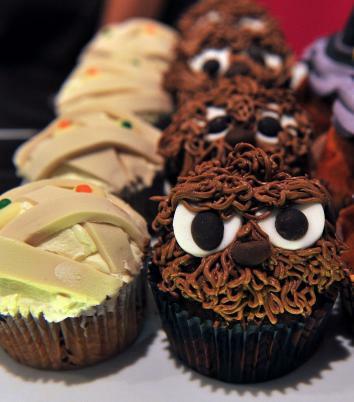 National grumpy cupcake day, anyone? With Thanksgiving just past and our biggest shopping holiday of the year just around the corner, drumming up sales between now and Christmas can often be hugely challenging for small businesses. Not only can your more-moneyed competitors afford the door-buster sales that attract shoppers, but they’ve got much bigger marketing budgets too. Therein lies the beauty of made-up holidays: There’s no competition. When Angie Dudley first dreamed up the cake pop in 2007, few had heard of the cake-and-icing confection that balances atop a lollipop stick. Cupcakes were all the rage back then, says Dudley, who founded the dessert recipe website Bakerella.com around the same time. Naturally, she wanted to topple the sweet treat’s dominance. So, on Feb. 1, 2008, the Georgia-based baker posted an image of a cupcake-shape cake pop onto a popular cupcake enthusiasts’ site. Her icing-and-cake confections took off. Still, you may think: Wait a tick, aren’t there already a gazillion holidays? And isn’t it weird—possibly off-putting—to just coin a new one? But that’s not stopping people from claiming a free short stack. Since 2006, IHOP has raised more than $16 million for charities and has given away an estimated 26 million pancakes. National Pancake Day also happens to be one of IHOP’s biggest sales days of the year, says Mortensen. “It really has taken on a life of its own,” he adds. It hardly stops with pancakes. Besides the 11 federal holidays, Americans observe a long list of religious holidays, feasts, and anniversaries—from Ramadan to Purim. Additionally, each state may have its own variety of local holidays, from Pascua Florida Day, which refers to spring and the Easter season, to Statehood Day in Hawaii. And you can’t possibly forget the “Hallmark Holidays”—so named for the greeting-card company that popularized the practice of sending cards to loved ones on certain days of the year, like Mother’s Day. There are approximately 23 of those. Still, there is room for more. If you can make a case for why your day ought to be in existence and you can fork over $1,500 to $3,500—the fee National Day Calendar charges for issuing a press release and a 13-by-19-inch framed proclamation—Anderson is all ears. Just ask talk-show host Ellen DeGeneres, who recently snagged her own national day, which also happens to be her birthday, Jan. 26. John-Bryan Hopkins from foodimentary.com suggests that, actually, it’s even easier than that to lasso your own day. And he should know. “I am the guy who has created about 173 of the national food holidays we celebrate today,” says the Birmingham, Alabama–based social media consultant who operates the hobby site. While many of the food holidays he tracks—from “National Indian Pudding Day” (Nov. 13) to “National Doughnut Day” (first Friday of June)—were already in existence, he wanted to fete at least one type of food, dish, or cuisine for each day of the year. So, he made some up—including Frog Legs on Leap Day. That’s the strategy behind “Green Friday,” says Ryan Fox, one of a consortium of marijuana business owners who are rallying behind rebranding the famed shopping holiday Black Friday. The idea is to promote giving the gift of newly legalized marijuana for the holidays. Earlier this month, the Chinese e-commerce juggernaut Alibaba generated $9.3 billion in sales in one day after creating its own shopping holiday dubbed Singles Day. Hard to argue with the point of that holiday, which is for you to celebrate you by buying yourself a gift. Ultimately, you need to consider what your goals are, suggests Anderson. If you’re trying to raise money for charity, for instance, it might make sense to host an event around the end of the year or during a month that holds some kind of significance for the charity or cause. The same goes for triggering sales, he adds. For Bakerella’s Dudley, National Cake Pop Day was a product of wanting to keep her community of cake pop aficionados interested and engaged with the dessert. “It’s something to have fun with on social media,” she says. “I’ll post a photo on Facebook, Instagram, and maybe my site. It’s a reminder for people to celebrate.” And if they want to buy one of her cookbooks, toys, and line of cake pop baking tools, that’s OK too, she adds.